Mr Aldo Rebelo is a Honorary Member of WCF since May 30, 2013. Biography: José Aldo Rebelo Figueiredo (born in Viçosa on 23 February 1956) is a Brazilian politician, member of the Communist Party of Brazil and a federal deputy elected by the state of São Paulo. 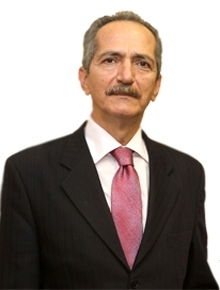 He was President of the Chamber of Deputies of Brazil from 2005 to 2007. With President Luiz Inácio Lula da Silva in Venezuela and Vice President José Alencar undergoing medical tests in the United States, Rebelo became the first communist to assume the duties of acting president of Brazil on November 12, 2006. His brief period in office lapsed the next day upon Lula's return. He is the main author of a project to change Brazil's controversial Forest Code introduced in the 1960s. As is, the code that makes mandatory that rural land owners keep 80% of their own land as sanctuaries could lead to a situation where millions of farmers would be penalized with criminal charges and loss of land. Rebelo was the minister of sports from 27 October 2011 until 1 January 2015. Since 1 January 2015 he is the Minister of Science and Technology in the cabinet of Dilma Rousseff. From October 2, 2015 – May 12, 2016 he was Minister of Defence of Brazil.